Barcelona’s “Festa Major de la Mercè” is a celebration in honour of the patron saint of the city. Who is Mercè? 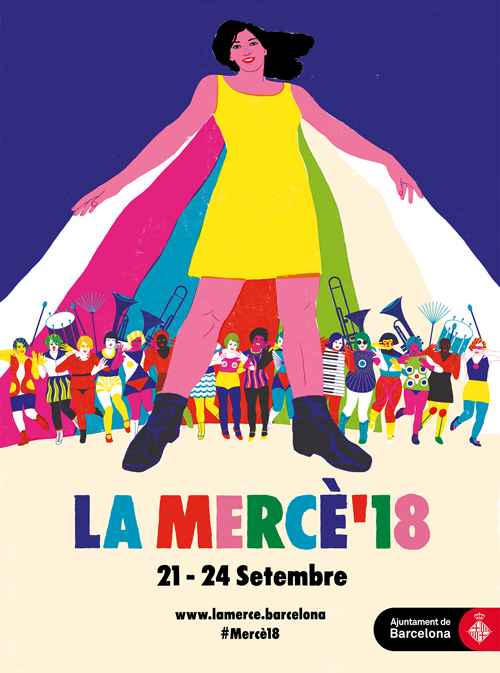 There wasn’t just one Mercè, but there were many different Mercès. Mercè is wearing a mantle with colored stripes. It reminds us od a circus tent, a metaphor for joy. Under her mantle more Mercès are sheltered. They are Mercès as diverses as the people of Barcelona.